Born in Adelaide, Thomas Rann commenced his cello studies at the age of ten, entering the Elder Conservatorium of Music (University of Adelaide) as a pupil of Niall Brown in 1997. 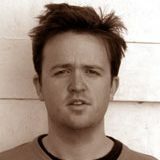 In 2000 Rann relocated to London to study at the Guildhall School of Music and Drama with Raphael Wallfisch.Winner of the prestigious Muriel Taylor Scholarship for Cellists in 2004 (previous laureates include Steven Isserlis, Raphael Wallfisch and Alexander Baillie), Rann furthered his studies at the Australian National Academy of Music (ANAM) in Melbourne under Professor Uzi Wiesel, where he won the 2005 ANAM Concerto Competition, leading to his successful 2006 debut as soloist with the Adelaide Symphony Orchestra in the ‘Symphony Under the Stars’ outdoor concert before an audience of 30,000. In 2008, Rann made his Wigmore Hall recital debut with pianist Wu Qian and his Queensland Orchestra concerto debut under Vladimir Verbitsky. During the 2008/2009 season he featured as soloist at the Australian Bushfire Victims’ Memorial Service at Westminster Abbey, in the presence of HRH Prince of Wales, the Duchess of Cornwall and the Prime Minister of Australia, Kevin Rudd, later making his St. John’s Smith Square concerto debut with the London Phoenix Orchestra under Levon Parikian. Rann’s festival appearances include the Verbier Festival Academy, the Schleswig-Holstein Festival, the Adelaide International Cello Festival, the International Holland Music Sessions , the Israel International Cello Congress, the Kronberg International Cello Festival and the Brighton Festival (UK). He has performed as soloist with orchestras including the Melbourne Symphony Orchestra (ABC Classic FM Rising Stars), the Adelaide Symphony Orchestra, the Queensland Orchestra, the Australian National Academy of Music Orchestra, the Preston Symphony Orchestra and the Melbourne Sinfonia. Rann’s performances have been broadcast numerous times on ABC Classic FM and the MBS Network. Currently completing his Masters degree at the University of Sydney supported by the Henderson Memorial Scholarship, Rann was Principal cello of the Camerata Menuhin at the International Menuhin Music Academy in Switzerland during the 2009/2010 season, appearing as chamber musician and soloist at venues including the Tonhalle Zurich, Victoria Hall Geneva and the Paul Klee Zentrum Bern.